Excellent travel companion and gift choice. Slips in carry-on luggage and bags besides your laptops/tablets and occupies little space. Massive capacity and reasonable price make it a steal as an excellent gift and a travel accessory. Update: This powerbank has been discontinued and is also long obsolete. We recommend Anker PowerCore Speed 20000 PD instead. Powerbanks have this image of being thick and bulky devices. 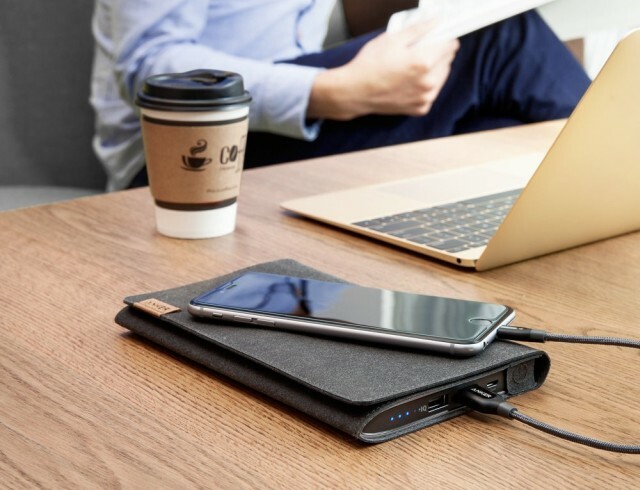 However, powerbanks that use Li-Po technology – same as used in smartphone/tablet batteries – offer excellent backup power capacity in a slim and sleek package. 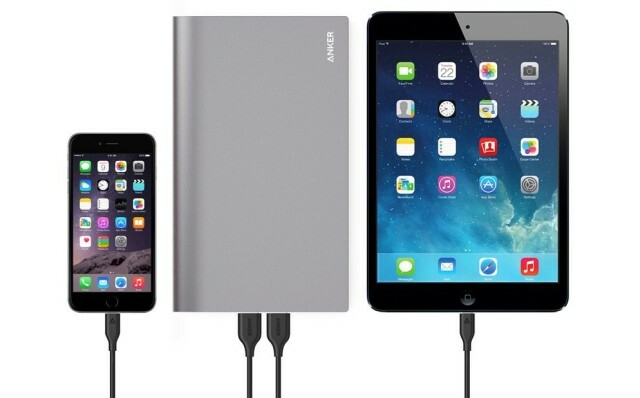 Anker PowerCore Edge is one such slim powerbank that is in a class of its own from regular powerbanks. It is more suited for travel purpose and for carrying in backpacks, carry-on luggage and suitcases than pockets. There are two things that you will notice on seeing the Anker PowerCore Edge for the first time. The first is that it is quite large looking but far more slimmer than most other powerbanks. The powerbank is 14 mm (just over half-inch) thick at the thickest point and has dimensions of 7.8 inches by 4.6 inches. The second is its high build quality and well-thought out design that makes it an excellent travel accessory and a beautiful, thoughtful and practical gift. It has a matte scratch resistant metal finish that further enhances its premium feel and makes it an excellent companion for sleek tablets and smartphones. PowerCore Edge has two charging ports with PowerIQ which senses the optimum charging current for the device. This allows it to dynamically adjust the current to suit the device. Even though the charging ports are not marked as “fast charge”, it can supply up to 2A charging current to compatible devices from both the ports that cuts charging times to half. The benefit from such dynamic adjustment is that both the ports offer optimum charging currents depending on the device instead of one port being stuck with low charging current and when on battery draining high-charging current. The current flow is steady and uniform and well suited for charging high-end devices while still using them. Anker PowerCore Edge charges an iPhone 6 about seven times and a Samsung Galaxy S6 or Note Edge about 5 times after a full charge. The powerbank itself gets charged to full charge from zero in about 10 hours by a 2A wall charger and about 18 hours by a 1.1 A charger. The ideal charging method will be to store it at 40% charge and then charge overnight using 2A or 1A charger just before use/travel. It would have been really nice to have Qualcomm QuickCharge Input and Output, but given the extremely decent price of PowerCore Edge, the lack of QuickCharge is understandable. Most regular powerbanks have a bulky and thick feel. The main reason behind this is that most powerbanks use cylindrical Li ion battery cells that have a standard thickness. 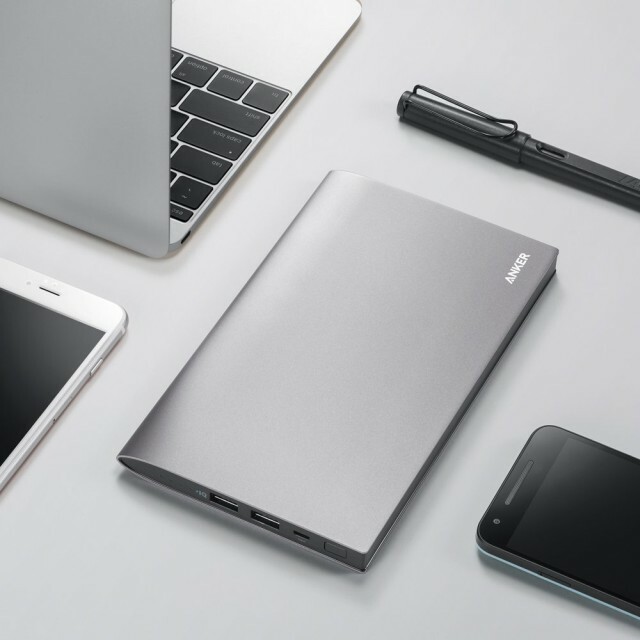 However, more expensive Li-Po technology allows the manufacture of slim and powerful powerbanks such as Anker PowerCore Edge. The high-quality outer finish is backed by the solid feel of the buttons and the accessories. The accompanying travel pouch with cut-outs for ports is a user-friendly touch as well. Anker’s 18 month warranty and extremely high ratings by a huge and established user base are a further proof of its durability. Overall, Anker PowerCore Edge is an excellent travel power bank at an unbeatable price point. The sturdy and sleek design and robust and reliable charging performance making it a travel accessory par excellence for both business and leisure travellers.